Can sustainable packaging be the key to success or failure for a product? Without any doubt, yes. This was also confirmed by a recent survey commissioned to the Smithers Pira Research Institute by Asia Pulp & Paper, where it emerges that many luxury brands find themselves facing customers who are increasingly more attentive to the product, but also to its packaging. The quality of a product must be accompanied by a quality packaging, that means sustainable, recyclable and environmentally-friendly. Also according to the survey, many consumers seem to be willing to pay something more for a luxury product, if this also means perpetrating a clear choice of sustainability. Profits in decline for those realities of the luxury industry incapable to communicate their commitment in the environmental issues or that are perceived as not very careful of the packaging they use? Maybe. What is certain is that with Christmas just around thr corner, a reflection on the future choices on packaging is urgently needed, which becomes every day a more central element also for digital marketing. Is’n it Christmas the best time of year for brands to evaluate their impact on the consumer world? Social media have allowed greater exposure of luxury brands and have encouraged constant contact with their target audience. The research reveals, in fact, that many users (about 15%) feel free to post negative comments on the social profiles of top brands when they consider the packaging of the purchased products to be excessive or unsustainable. And a bad online reputation is hard to die! Packaging is the business card of a product and for this reason it can become a powerful communication vehicle as well as a driver for the purchase. Choosing a sustainable packaging means promoting a positive message, confirming to the audience a corporate vision attentive to environmental issues, which in every Country are taking on a key role in rousing Public Opinion. Sustainable packaging also implies an attention to waste and recyclability of materials: aluminum is the perfect solution in this context, particularly the aluminium collapsible tube. Rolling up on itself it allows you to squeeze the content, of whatever kind it is, up to the last drop avoiding waste. Being re-sealable, it keeps the contents safe from contaminations that would ruin their quality. Being an aluminium collapsible tube it is infinitely recyclable with a process that guarantees an energy saving of 95% compared to the production from raw material. The aluminium collapsible tube is the perfect packaging for the food industry. Sauces, jams, chocolate to squeeze directly on the plate can facilitate the mise en place even for those who do not feel like Masterchef. 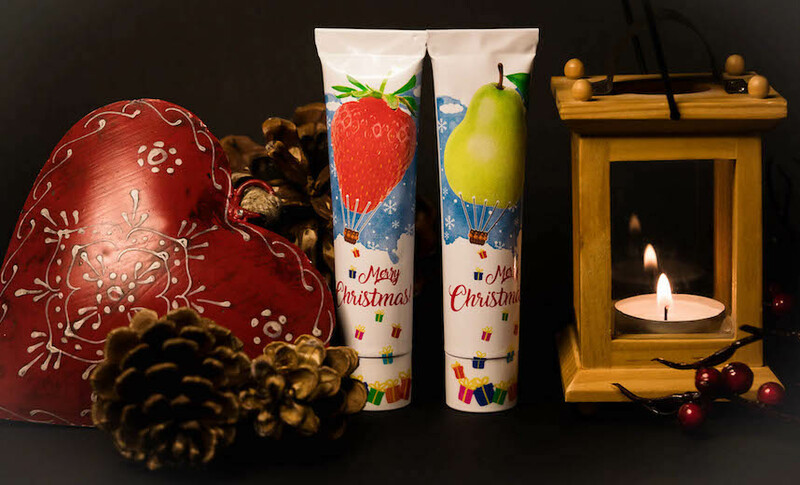 These products in tube are perfect for Christmas baskets, not bulky as well as resistant, they can be bought well in advance. Moreover, they are delicious and therefore ideal for being given away. The aluminium collapsible tube is versatile, practical and functional, also suitable for the cosmetic industry. The tube make-up is a perfect ally during the holidays, light and easily transportable in a bag or pocket, suitable for many products such as creams, ointments, lipsticks or foundations. Furthermore, there is no doubt that the aluminium collapsible tube has a proven vintage charm, which more and more brands, especially in the cosmetic industry, are recently rediscovering. A hymn to tradition that in the beauty industry communicates intimacy, familiarity, trust. Just those feelings that we appreciate the most at Christmas. Choose a quality packaging for your products, attentive to the Environment and increasingly appreciated by final consumers. Contact us to discover our wide range of aluminium collapsible tubes.